Ross McKenzie, PhD of the Lethbridge Research Station talks about the agronomic considerations for winter wheat. Ross explains seeding dates, plant populations, nutrient requirements, specific variety considerations and seeding depth. Winter wheat is a great crop with many benefits. Planting winter wheat is a great way to lower the amount of workload in the spring and creates a much more spread out harvest. 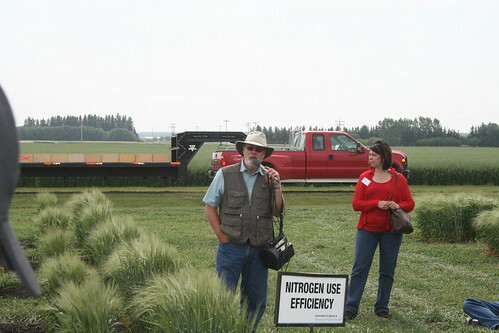 Last week I attended the Lacombe Research Station Field Day in Lacombe Alberta. I thought that it was a great time and I picked up some things about a couple varieties that I was unaware of. This is the first time that I have attended this event but based on my experience I will definitely be attending again in the future. Dr. Jim Helm, Plant Breeder/Head of Research, Field Crop Development Centre, has been contributing to the advancement of feed grains in Canada for 36 years. In the above photo Dr. Helm was commenting on how you breed for drought and fertilizer efficiency. Dr. Helm commented that you simply breed for yield based on the given conditions experienced by the plant. Dr. Helm is great for getting seedsmen, industry and farmers to reconsider the way we are doing something. One of his famous talks is regarding why most feedyards pay for barley based on bushel weight instead of feed value. Dr. Helm is responsible for barley varieties like Vivar, Lacombe, Harper, Falcon and Mahigan. Matt Stanford of the Canola Council of Canada takes a close look at what bugs we find in the bug sweep net. Cabbage seed pod weevils and lygus bugs can cause real havoc on the canola crop and Matt helps you identify them. Finding out what pests are in your canola field starts with sweeping for bugs. It is essential that you do it correctly if you want to monitor the threshold levels. Matt Stanford demonstrates the proper technique in the following video. Weed Identification is key before you spray your canola crop. Depending on whether you have a glyphosate, liberty or clearfield tolerant variety, your spraying strategy may be different depending on what weeds are in the field. In this edition o the Canola School Matt Stanford of the Canola Council talks about how forming a spraying strategy is the key to success. Plant stand is very important and in this segment of the Canola School, Matt Stanford of the Canola Council of Canada talks post seeding evaluation work that needs to be done. Matt also talks about some of the adversity canola growers have been experiencing this year with seeding and plant stands across Western Canada. 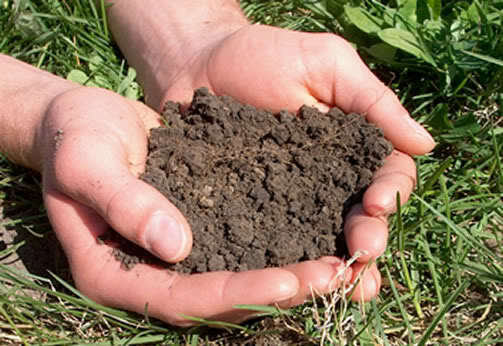 You are currently browsing the archives for the agronomy category.